Winston swallowed fearfully as he realised that he had been deposited by mysterious forces into the deepest bowels of the dreaded MiniEd. “Erm…two?” he quavered. The two buckets had “EBacc”and “More bloody EBacc” scrawled on them in crayon. There were a couple of muffled metallic clangs as O’Greening did a rapid double take. “Nick!” she hissed furiously through clenched teeth. The other man ran to join her. He groaned as he strained to lift a third bucket. “Why do I always have to do the Maths and English bucket? It’s sodding well double-weighted, you know…” he muttered resentfully. Gibb placed the iPad so that it filled the trembling Winston’s entire field of vision. “Currently, I have a ‘good pass’ set to ‘4’,” she said conversationally. Actually, thought Winston, it didn’t look too bad. The screen was mostly green with only the odd patch of blue. “Now observe what happens as I now define a ‘strong pass’ as a ‘5’!” O’Greening twisted the dial from 4 to 5. They left Winston Smith alone in Room 808. Tears ran down his face, but he smiled quietly to himself as he stared at the screen. Students, happiness, staff, well-being, people — none of that mattered any more. He had finally won the battle against himself. He loved Big Data. MAN IN GLASSES (for it is he): Good evening, viewers. 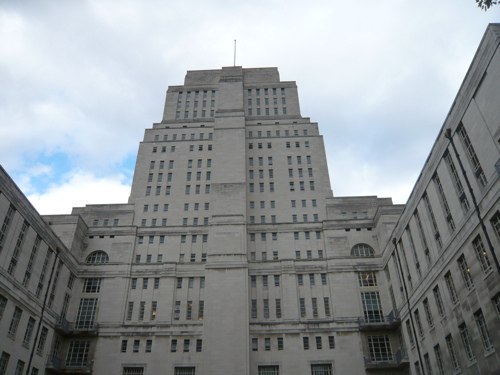 Tonight, we are going to examine the impact of the government’s controversial new education policies ‘on the ground’, so to speak, at one of the first schools in the country to undergo forced academisation in the latest tranche of institutions deemed to be ‘failing’ or ‘coasting’ by Government ministers. WHILE M.I.G. SPEAKS, BACKGROUND SHOTS OF A TYPICAL COMPREHENSIVE SCHOOL BUILT IN THE 1970s APPEAR ON THE SCREEN. WOMAN: Well, of course, the first we knew about the forced academisation was when the new management team from the SKARO Academy Chain arrived in their shiny new suits. M.I.G. : And would you say that they’ve succeeded in driving up standards? WOMAN: A little. The kids are a lot less scruffy since the Headteacher started exterminating anyone who had their top button undone. Or who didn’t know their target grades. Or didn’t make the expected level of progress. Or looked at SLT a bit funny. Mind you, they treated the staff in exactly the same way. M.I.G: What? You mean that they held staff to the same exceptionally high standards as the children? WOMAN: No, they exterminated them. Some of the older staff just couldn’t adjust to pushed around on castors with a sink plunger and an egg-whisk under their armpits whilst shouting “YOU WILL MAKE PROGRESS! OR! YOU! WILL! BE! EXTERMINATED!” in a loud, grating voice. 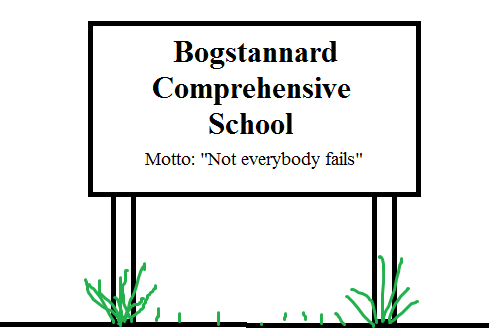 But that’s part of the academy chain’s “corporate style” and one of the “non-negotiables”, as the Headteacher likes to call them. But the younger staff seem to be adapting well to new regime, especially those who entered on the SKARO Direct and EXTERMINATE First! routes. Actually, some of them seem to enjoy it . . . THE CAMERA ZOOMS IN ON A SMALL Y7 CHILD STANDING ALONE IN THE PLAYGROUND. HE IS STANDING STIFFLY TO ATTENTION. EVERY FEW SECONDS, HE REFLEXIVELY AND REPETITIVELY CHECKS WHETHER HIS TOP BUTTON IS DONE UP. HIS EYES SWIVEL NERVOUSLY FROM SIDE TO SIDE. TUMBLEWEED BLOWS AROUND HIS FEET. M.I.G. : Have the new leadership team exterminated many of the students? WOMAN: A fair few. But as Mr Davros, the CEO of SKARO Academy, said in the newsletter, that we shouldn’t think of it as a form of ruthless mass murder, but rather as a “proactive measure to help ease the national pressure on school places”. M.I.G. 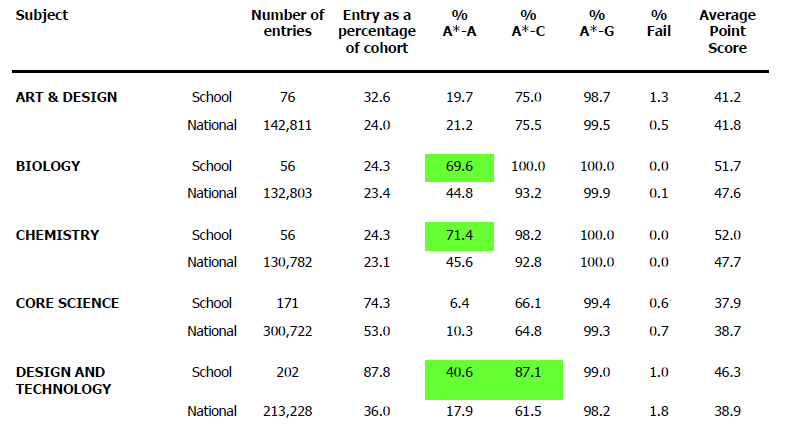 : I understand there was some unpleasantness involving a surprise Ofsted inspection? WOMAN: Not really. I mean, the lead inspector was a bit suspicious when he found that the majority of the SLT were descended from an extraterrestrial race of humanoids know as the ‘Kaleds’. He said that sounded, well, a bit ‘un-British’ if you catch my drift. M.I.G. : And what the leadership team do? 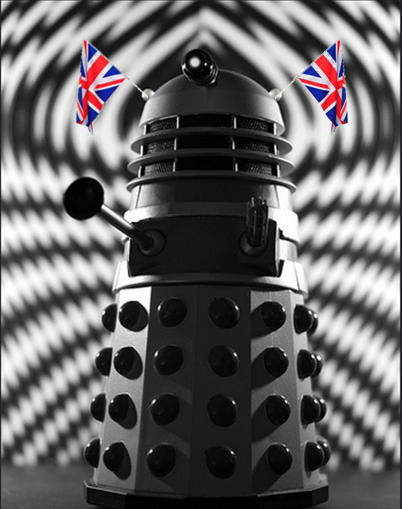 WOMAN: Well, two little doors opened up in the dome on top of Mr Davros’ head and two little union jack flags popped out and he started chanting “BRITSH VALUES! BRITSH VALUES! YOU MUST HAVE BRITISH VALUES!” before leading everyone in a rousing rendition of ‘Land of Hope and Glory’. British values! British values! You must have British values! M.I.G. : And what happened then? WOMAN: Oh, they exterminated the Ofsted Lead Inspector. WOMAN: Yeah. He undid his top button while they were singing. M.I.G. : And how did the staff react to this? Why Mr Gradgrind, Thou Art Updated! Why, Mr, Gradgrind, thou art updated! “NOW, what I want is, Skills. Teach these boys and girls nothing but Skills. Skills alone are wanted in life. Plant nothing else, and root out everything else.” Mr Gradgrind paused for a moment. “And when I say ‘teach’ what I really mean is ‘facilitate’. This is the principle on which I bring up my own children, and this is the principle on which I bring up these children. Stick to Skills, sir!’ The scene was a plain vault of a school-room, decorated only with the multicoloured pyramid of Bloom’s Taxonomy on the far wall which the speaker’s square forefinger emphasized silently by pointing, in the approved “talk-less” neo-Gradgrindian manner. “In this life, we want nothing but Higher Level Thinking, sir; nothing but Analysis, Evaluation and Creativity!” The speaker and the second grown person present both swept with their eyes the knots of little vessels then and there arranged in groupwork PowerTalk Circles (TM), ready to have imperial gallons of Conceptual Understanding facilitated into them until they were full to the brim, or at least until their personalised learning objectives could be self-actualized and triple cross-checked by peer assessment. “Girl number twenty,” said Mr. Gradgrind, squarely pointing with his square forefinger, “as a starter, please go to the flipchart and analyse and evaluate what the concept of ‘horse’ means in the 21st Century within the context of productive economic citizenship. Please make full use of all the colours available to delineate your thought-clusters. You have two minutes.” Sissy Jupe blushed nervously but gamely walked over to the flipchart stand. Mr Gradgrind started a countdown timer on the interactive whiteboard. The pips sounded and Sissy stepped away from the flipchart. She had drawn a picture of a horse. It was actually quite a good picture although it was wearing a hat and smiling in a decidedly unhorselike way. She had written “Dobbin is a quadruped” in very neat handwriting at the bottom. “The sentence containing the word quadruped is a statement of a merely factual nature, sir,” said Bitzer, pulling a sour face as the word ‘factual’ left his mouth. “–we can look it up on Google!” chorused the class. Poor Sissy Jupe looked crestfallen. “Bitzer, show us how its done.” The whey-faced lad tapped away on his iPad. “Erm . . . yes?” offered Sissy, hesitantly. The second adult in the room, the normal class teacher, stepped forward, shaking his head in admiration. Speechlessly, he removed his mortar board and handed it over to Mr Gradgrind . Mr Gradgrind acknowledged the gesture with a grave and courteous inclination of the head, before throwing that tired old symbol of traditional teaching into the nearest wastebasket. 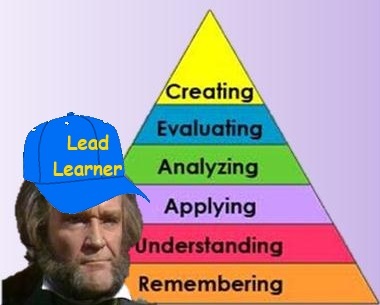 He drew two baseball caps from his pocket — they both had the words ‘Lead Learner’ embroidered upon them — and both of them reverently donned them. From somewhere, the opening bars of Mr Boombastic blared as they got on with chillin’ wid da kidz.